What are Office Door Signs? 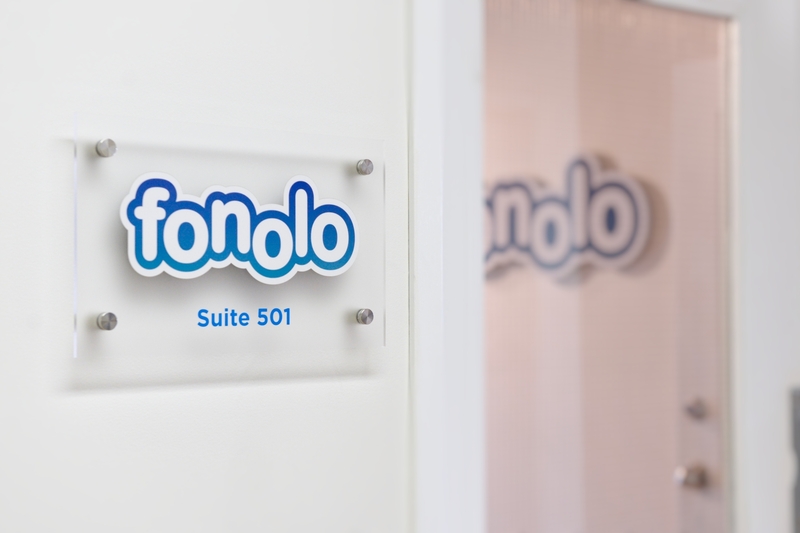 Office door signs and door name plates take many forms and help visitors see that they've arrived at the right place. Make sure you choose the right custom door sign for your business industry, office decor, and branding style so that you can enforce brand consistency and build company trust. 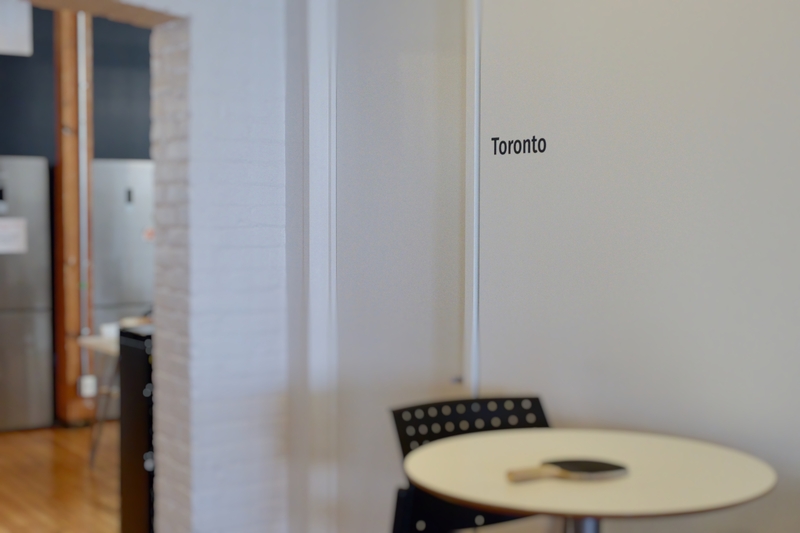 Here are a number of unique office door sign ideas and options. 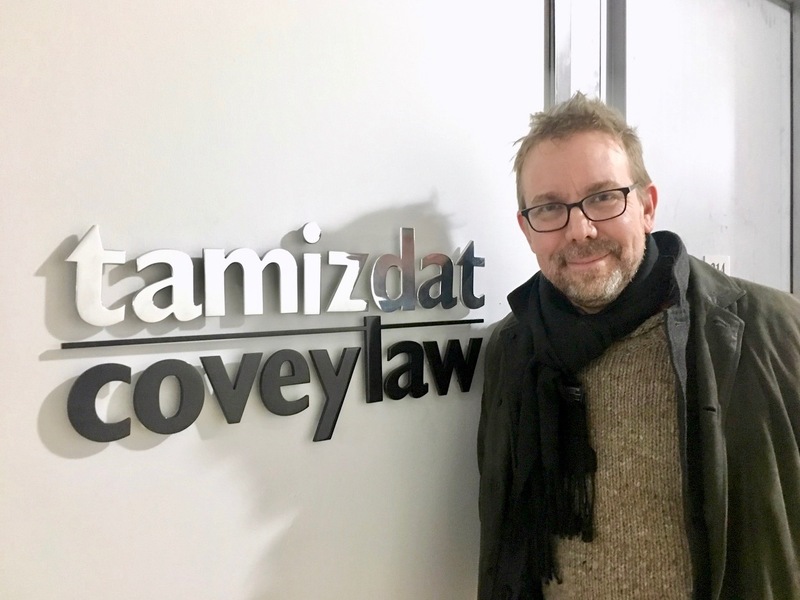 Matthew Covey of Covey Law with polished aluminum door sign he installed himself. They say simple can be harder than complex. 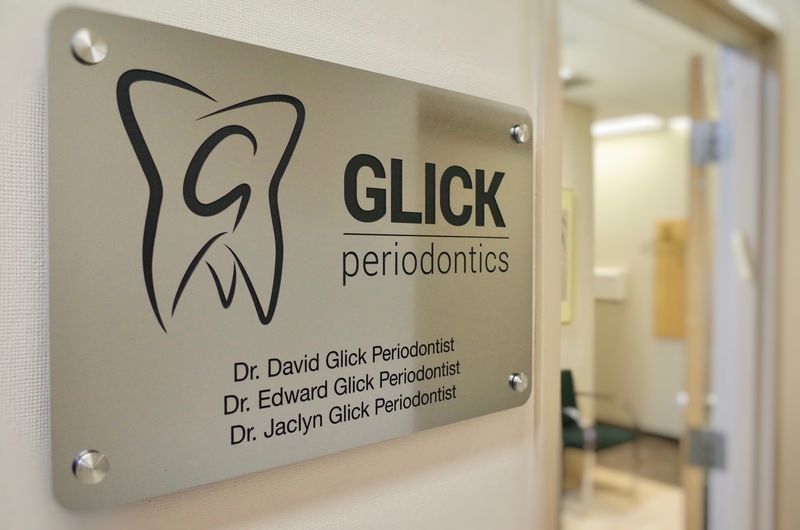 Using a custom cut acrylic logo as a door sign is a simple, yet clean and effective way to present your brand and lead visitors through your door and into your office. Jet Cooper — Custom laser cut acrylic logo raised on spacers using our unique Pastel Ice Frost® finish. 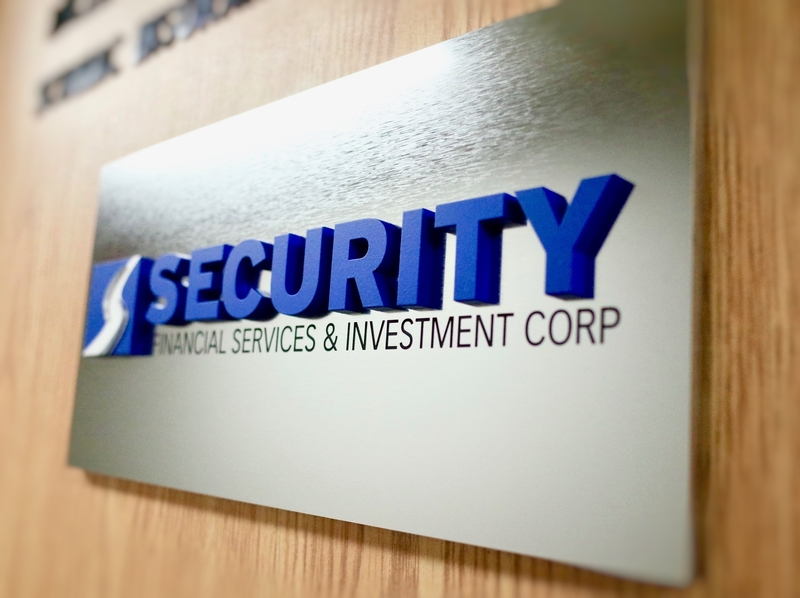 Acrylic is an excellent material for clear, frosted, or even opaque color office door plate signs. Painted to match a custom color. In addition to the standard acrylic finishes above, we also provide acrylic metal finishes, which you can find in the Engraved Acrylic Metal section below. 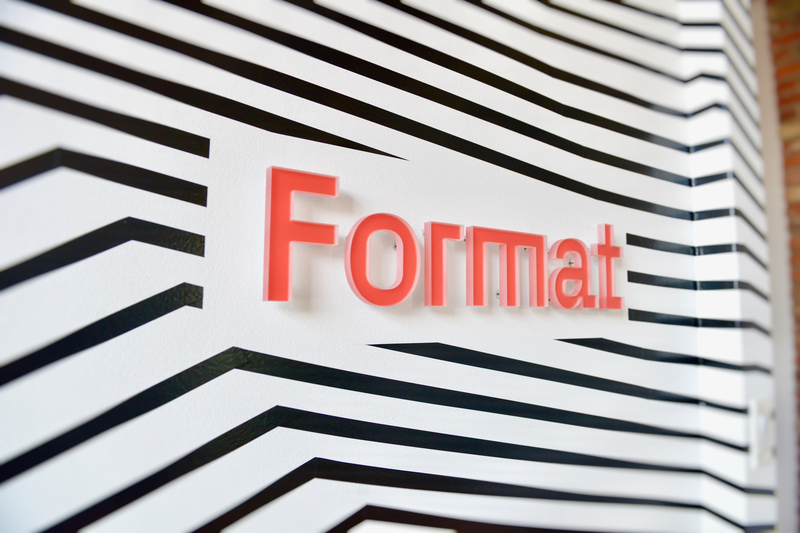 Frosted acrylic can be used with a printed logo cutout and vinyl film suite number for mounting next to an office’s front entrance. 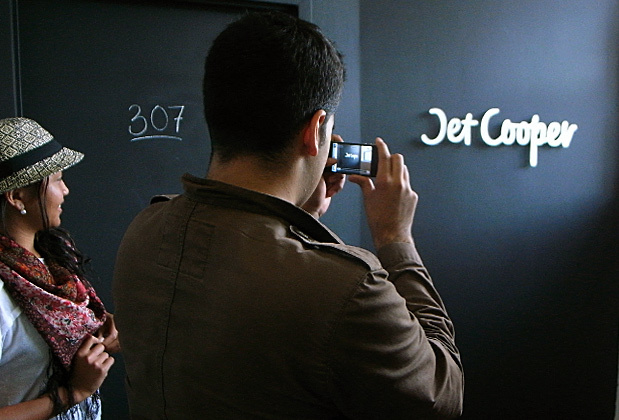 Engraved metal hallway signs are a great way to help visitors find their way to your office. 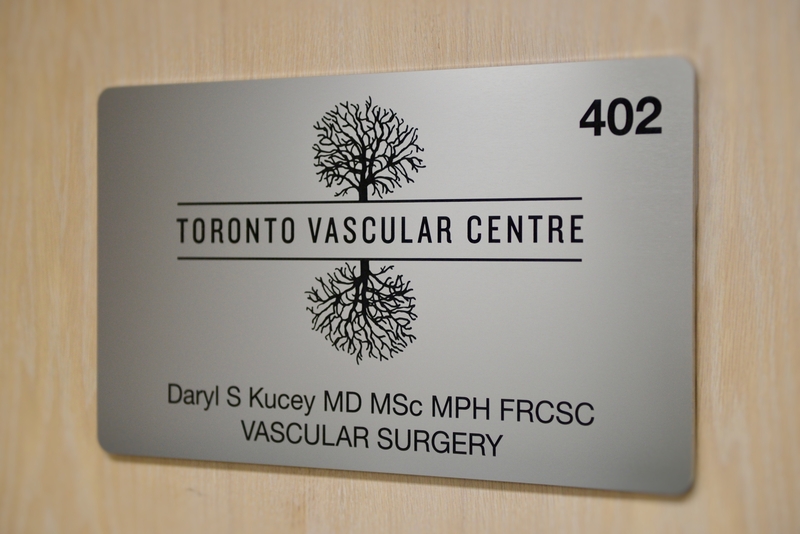 Although this type of sign may seem common, we make our door plaques thicker, at 1/4” thickness, with crisp laser cut edges finished in a chrome silver for a more refined first impression. Engraved office door signs can feature the company name, logo, names, suite numbers and any other information you can imagine. One way to install a door plaque is to mount it directly to the door with double sided tape and silicone. Another way to hang a door sign is by using 4 decorative stainless steel mounts or hangers. These mounts also have cylindrical metal spacers which set the sign away from the wall at a set distance. Engraved plaque signs can be combined with 3D letters, either painted or also in a brushed metal finish for a unique multi-dimensional look. Engraved Name Plates are classic. They allow you to change the status of the room using messages such as “In Use” or “Vacant” and can be customized to include additional messages. Sliders can also be used for employee offices. Easily change names or designations. 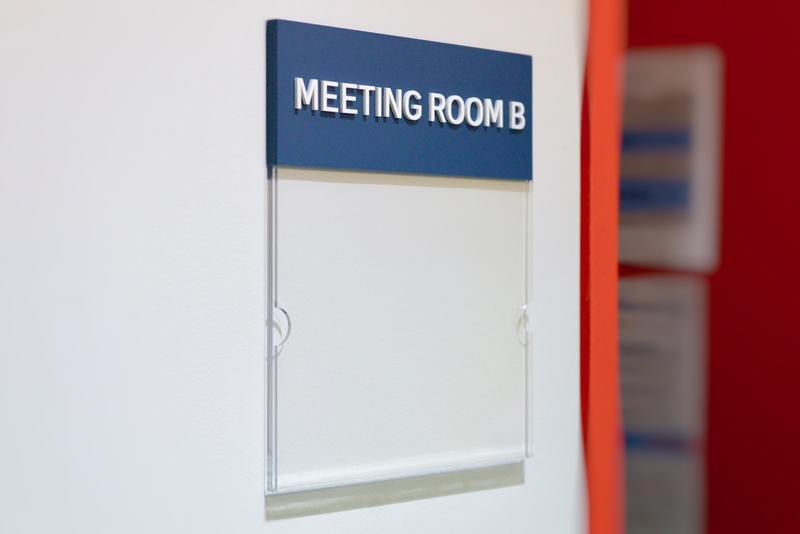 Clear acrylic displays help showcase meeting room schedules and changeable messages. Fully customizable header with raised acrylic letters and a side slot opening for 11” x 8.5” paper to be inserted. Custom size slot options available. 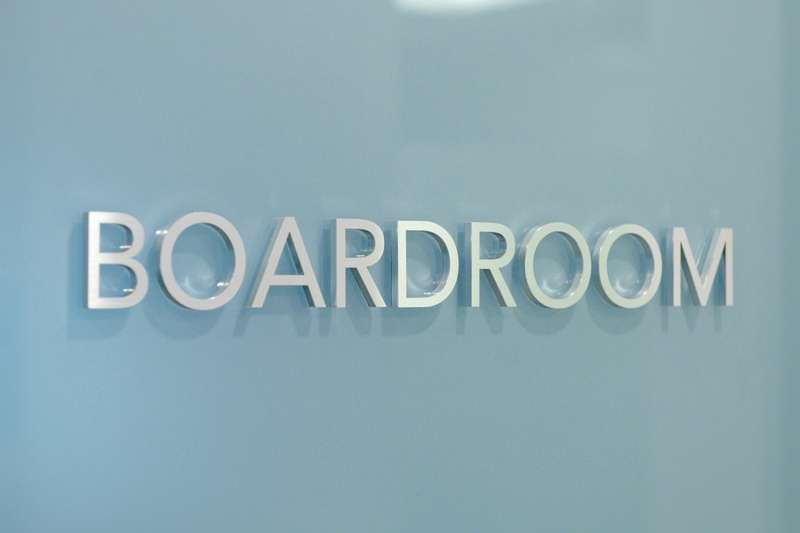 Vinyl lettering is an economic choice for labeling office doors, meeting rooms, boardrooms and conference rooms. The vinyl material is cut to the shape of your custom letters or symbols and can be made in an opaque color, frosted, or even printed as part of a custom design. Pricing for Vinyl Letter Door Signs of this size (6” to 12” in length by 2” in height) ranges from $18 to $35 each. 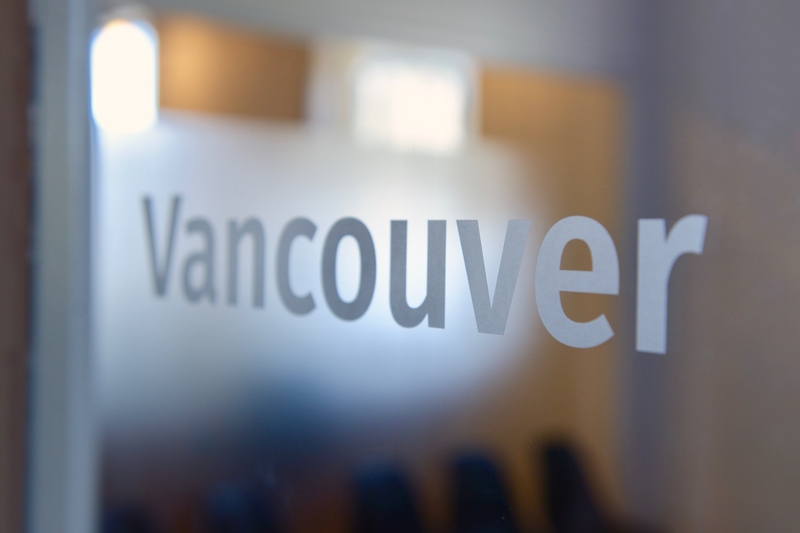 Dimensional sign letters make great office door signs and can even be mounted to glass boardroom windows using a thin vinyl film backing to hide the glue from being visible from the opposite side. Laser cut dimensional letters can be painted to match any color, matte or gloss. The letters can also be made in a brushed metal finish. Pricing for 3D Door Signs of this size (6” to 12” in length by 2” in height) ranges from $95 to $125 each. Brushed metal finish $150+. 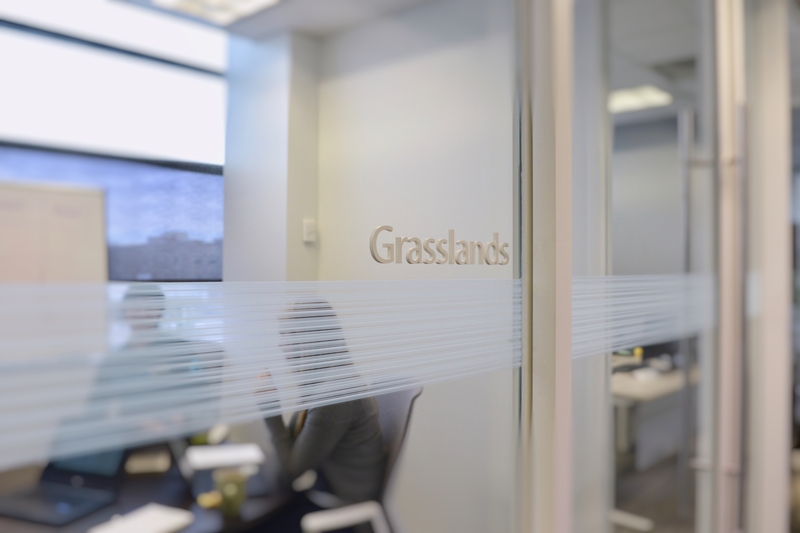 Laser Cut Acrylic “Grasslands” letters, 1/4” thick, painted a semi-gloss white finish and mounted to the glass. An exact duplicate of the sign in white vinyl film was installed on the glass before the dimensional letters were installed. The film layer hides the adhesive from being visible on the other side. 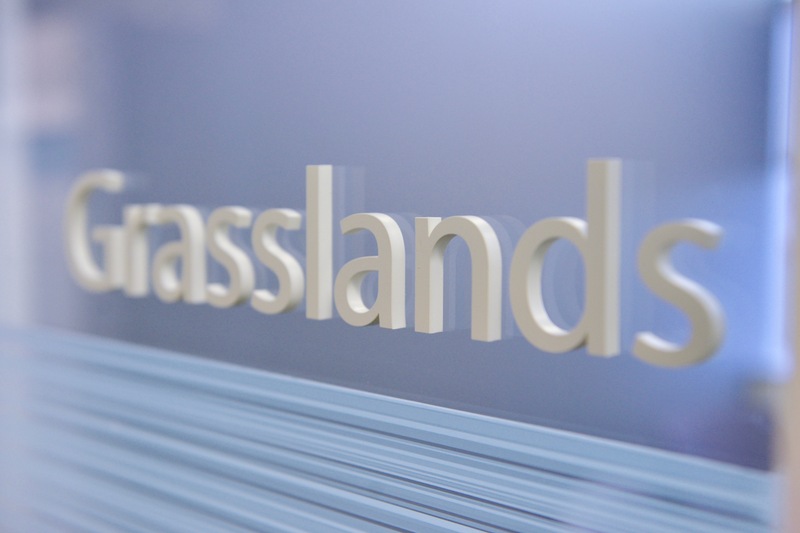 Mad Men style metal door sign letters for office boardroom frosted glass add a classy look and feel to the office. How are Door Plaques Installed? Door plaques can easily be installed directly to the wall or raised on mounts. For mounting directly mounted or flush mounted signs, we provide a special easy to use installation template. The template is basically a laser cut rectangular cutout that’s slightly larger than your sign with a laser cut opening and a notch showing where the center of your sign will be. The opening is exactly the same size as your sign. Well, slightly larger to allow for an easy fit. We also include double sided tape adhesive already applied to the back of your sign. To mount your plaque directly to your door or wall you just need to tape the template into place, making sure it is level, remove the protective film from the double sided tape and add small dabs of clear silicone next to the tape. Bring your door plaque into place using the pattern for positioning and press firmly so that the tape can bond with the wall and the silicone can spread. That’s it! For mounting raised signs on decorative stainless steel mounts, we provide a special easy to use installation pattern. The template is a laser cut rectangular cutout made exactly the same size as your sign. The template comes with pre-made holes showing the exact spots where mounts need to be drilled. Spacers and mounts can be used to mount the sign to the wall next to the door with additional plastic anchors or directly into the door, by pre-drilling or using the correct screws. You just position the pattern on the wall, level it, tape it into place and mark the mounting holes with a marker, or sharp point. Drill each hole using the suggested bit size (usually 1/4” for 1” diameter spacers), insert a plastic anchor or pre-drill for wooden surfaces. Screw the provided screw through the spacer and into the anchor or surface. Once spacers are secured to the wall, all you need is to secure the sign to them by hand tightening the decorative caps through the holes in your plaque.